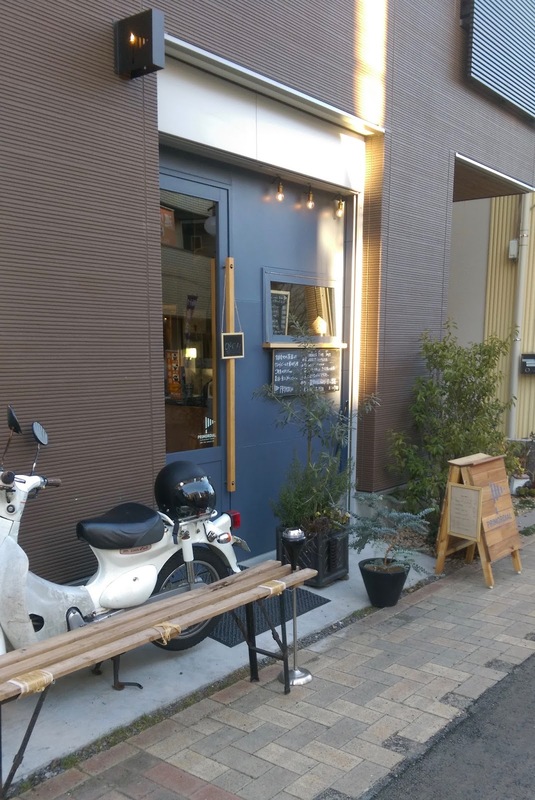 Primordial is a small shop in Saitama near Minami Urawa station. I say "shop" because they advertise themselves as "cafe and craft beer" so maybe they don't want to be called a bar or pub, but at the same time I wouldn't call them a cafe. They stay open kind of late, until 11, and have a bar you drink beer at. Doesn't sound like a cafe to me. I guess they call themselves a cafe for a couple of reasons. First, they also serve good coffee. But the food options don't seem cafe like. Second, they're open from lunch. [NOT ANY MORE UNFORTUNATELY. NEW OPENING HOURS BELOW] This is what caught my attention, as daytime open craft beer place isn't seen much, or maybe at all, in Saitama. When I went there during the day, around 3:30, I was the only customer. But when I went at night they were full. So it'll be interesting to see if the early opening time continues. Maybe they get a good lunch time rush. I hope so because it's a nice place in a good location. Now for the details. It really is a small place. About eight at the bar and about eight seated at tables. The beer selection was interesting, but limited, with only five taps. The prices aren't bad. ¥800 for a regular and ¥500 for a small, with select beers being plus ¥100. How much beer was in a regular, I'm not sure. I'd say less than a pint, but not shockingly less. There's no table charge and no smoking. Update on this place. No longer open for lunch. Open from 3. Also, I think their glasses got smaller. Thanks. Have updated the opening times. Cheers!